John Wick: Chapter 3 Trailer Declares Time is Up | Nerd Much? Time is up for John Wick. After successfully navigating the hitman-fueled landscape of John Wick and John Wick: Chapter 2, the character now faces his greatest threat to survival yet. And with the entire assassin world gunning for him, the John Wick: Chapter 3 trailer proves this is going to be one daunting – but exciting – task. Once again written by series creator Derek Kolstad, John Wick: Chapter 3 seems like a culmination of sorts to the events the preceded it. The stakes are higher than ever, and Wick is going to need some help if he’s going to make it out of the situation he’s found himself alive. Just like its predecessors, the third film’s cast is loaded. And you get to see many of its players on full display within the John Wick: Chapter 3 trailer. The third installment includes Keanu Reeves, of course. But returning are Ian McShane, Lance Riddick, Ruby Rose and Lawrence Fishburne. A new actors enter this mix in Halle Berry, Asia Kate Dillon, Anjelica Huston, Mark Dacascos, Jason Mantzoukas and Hiroyuki Sanada. Chapter 3 again directed by Chad Stahelski. Which you can probably recognize with slick style on display once again with the John Wick: Chapter 3 trailer. 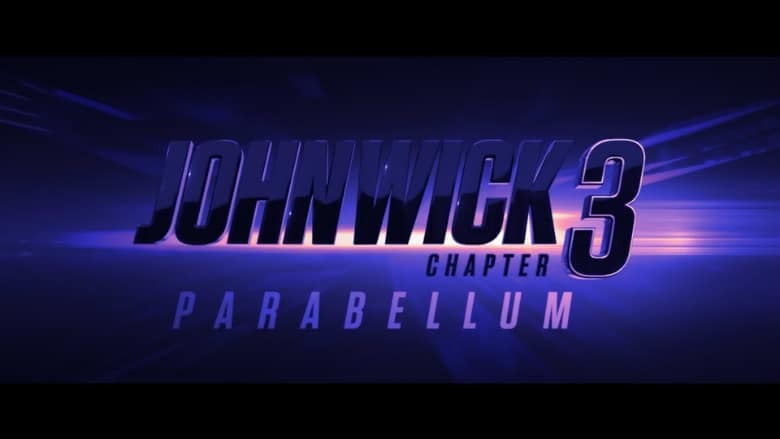 Fully titled John Wick: Chapter 3 – Parabellum, the movie is targeting theaters on May 19th. Hopefully the third time continues the charm.